Personal peace may be the best gift anyone could offer us in the New Year. There are plenty of us who want it and plenty of reasons to need it, yet no simple path to it. But taking even a few quiet minutes for contemplation and meditation can bring respite. Here are three new books that may help. “If you need a burden lifted, I want you to imagine that I am in a personal, private, closed-door chat with you. 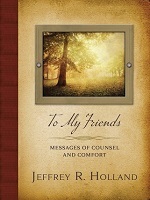 I want to help you if I can,” says Elder Jeffrey R. Holland in To My Friends: Messages of Counsel and Comfort. The book is, for the most part, a compilation of post-2007 general conference addresses, institute talks, CES firesides, and such in 21 chapters. Using ample personal experience and insight as well as scriptures, Elder Holland teaches with convincing concern, addressing friends who feel alone, face opposition, seek to build Zion, face temptation, want to move forward, or are instruments in the hands of God. Another classic is “Standing Together for the Cause of Christ,” from his address to Christian evangelical leaders gathered in Salt Lake City in 2011. It’s a nice compilation of some truly memorable talks, with each chapter prefaced by a quote superimposed on a serene scene. (Deseret Book 2014, 264 pages, including index, in hard cover, $23.99). 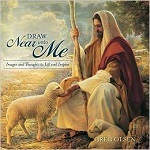 Draw Near Unto Me, featuring the art of Greg Olsen, is exactly what its subtitle promises: “Images to Lift and inspire.” Succinct, one-sentence thoughts to contemplate accompany more than 50 images from the artist’s vast repertoire with subjects ranging from the Savior to children and nature. Such phrases as “We’re all a work in progress; give yourself time to grow,” and, “Every child needs a role model,” give the reader plenty to think about while enjoying color reproductions of paintings from Olsen’s deft hand. It’s a feel-good book appropriate for any occasion (Covenant 2014, about 80 sturdy pages in hardcover, $14.99). 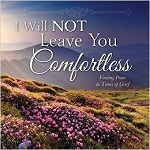 I Will Not Leave You Comfortless: Finding Peace in Times of Grief is slightly more defined in its approach. Also from Covenant, this book is a collection of beautiful photos which act as backdrops to brief quotes from writers, philosophers, literary characters, and poets — including Mark Twain, William Penn, and Queen Elizabeth II — along with slightly longer excerpts from Church leaders and an occasional scripture. It’s not exactly in-depth, but the lovely images and well-chosen words may be precisely what someone needs at a time of loss. There’s solace to be found in this beautiful book (2014, 80 pages in hardcover, $11.99).  Poetry, Personal Stories, and "Accomplishing the Impossible"
Laurie Williams Sowby has been writing since second grade and getting paid for it since high school. Her byline ("all three names, please") has appeared on more than 6,000 freelance articles published in newspapers, magazines, and online. A graduate of BYU and a writing instructor at Utah Valley University for many years, she proudly claims all five children and their spouses as college grads. During her years of missionary service, Laurie has continued to write about significant Church events, including the rededication of the Santiago Temple by President Hinckley and the groundbreaking for the Philadelphia Temple by President Eyring. She also was a Church Service Missionary, working as a news editor at Church Magazines, between full-time missions. Laurie has traveled to all 50 states and at least 45 countries (so far). While home is American Fork, Utah, Lincoln Center and the Metropolitan Museum of Art have provided a comfortable second home. Laurie is currently serving a fourth full-time mission with her husband in the New York Office of Public and International Affairs. The two previously served with a branch presidency at the Provo Missionary Training Center. The oldest of 18 grandchildren have been called to serve missions in New Hampshire and Brisbane, Australia.